Participatory theater is like being a door-to-door salesman. The pitch needs to start off so strong that the potential customer doesn’t slam the door on your face. If the pitch isn’t good then that moment when it’s time for the audience to play along will be a dud. Sadly, such is the case in The Murder at Ginger Creek. Written and created by Michael Gargan Curtin and Ruthie Scarpino, The Murder at Ginger Creek is a family-aimed interactive piece that attempts to get the audience involved. Only when it’s the audience’s turn to play, it takes some severe coercing to get a response. The premise of the show is an Eastern European hostess with the mostest and her hunchback assistant guide the audience through a “Mystery Science Theatre” style evening where we watch four suspects arise when a murder occurs at the Ginger Creek motel. Through madcap comedy, the audience plays the role of detective to try to solve the mystery. The idea is fine. But there were many factors working against the duo in this particular setting. With hopes of being slightly immersive, the Kraine Theatre was not the right venue for this experiment. It’s hard to get an audience to interact in a standard theater as there is a natural fourth wall built. Simply bringing the house lights up was not nearly enough. The other major factor working against Curtin and Scarpino was the “do it all” strategy.” When you’re so close to a piece, it’s hard to see the flaws. Bringing in an outside eye to hop into the director’s seat could have been of great assistance. As it stands now, there was a dead air in between scenes and character shifts that deflated the momentum. Textually, the plot seemed simple yet when the audience was asked questions about characters and motives, there was silence. Incorporating names and spelling out the facts cleaner will be of great assistance to the piece. Festival setting or not, the less-is-more technique didn’t pay off for the piece as a whole. When it came to bringing The Murder at Ginger Creek to life, Michael Gargan Curtin and Ruthie Scarpino are both capable character actors. But Curtin is head over heels the far superior performer. Curtin easily slid into his trio of roles, bringing distinctive voices and physical characterization to each. Curtin is one who could easily succeed in the world of solo performance if he so chose. Scarpino on the other hand made good use of her characters, but they didn’t have that spark that Curtin embraced. With a natural element of improvisation, Curtin again was the stronger of the two, able to keep in character no matter the situation. Though seeing that tiny burst of breaking from Scarpino was endearing. It’s why we love live theater! 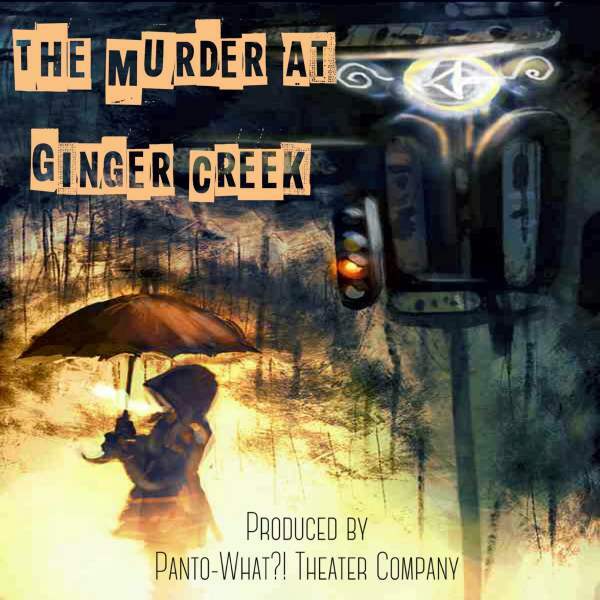 The Murder at Ginger Creek is entirely dependent on active audience. If the audience, no matter the size, isn’t on board to play, it may be best to ride off into another town. But with the right audience, one filled with some wide-eyed youthful smiles, The Murder at Ginger Creek could be fun.